My six year old son loves Halloween and we always make our costumes. Everyone always gives me the credit for making the costumes, but my son Jack is the one who makes them come to life and he just glows when he is in costume. I was worried about him being able to handle all the pieces of this costume, but like a trooper, he master it. 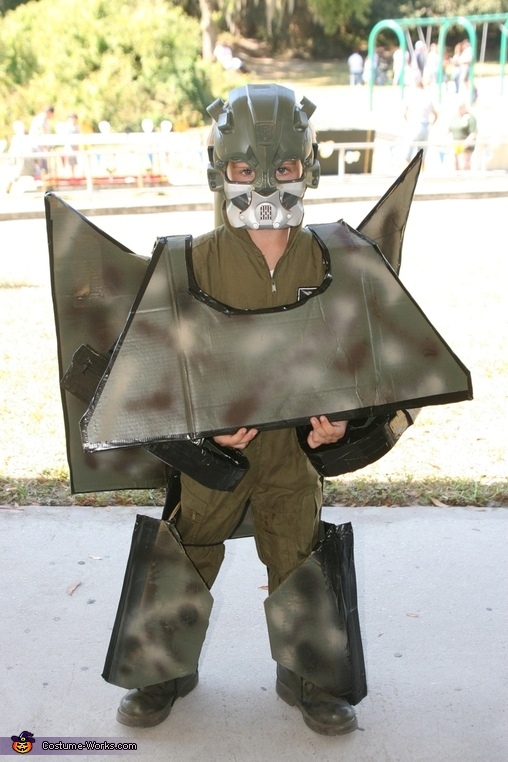 I am sending you a picture of him as the Transformer and then as the Tank. The costume is made with cardboard, duct tape, shoe box, plastic tube, mask, plates, and paint.